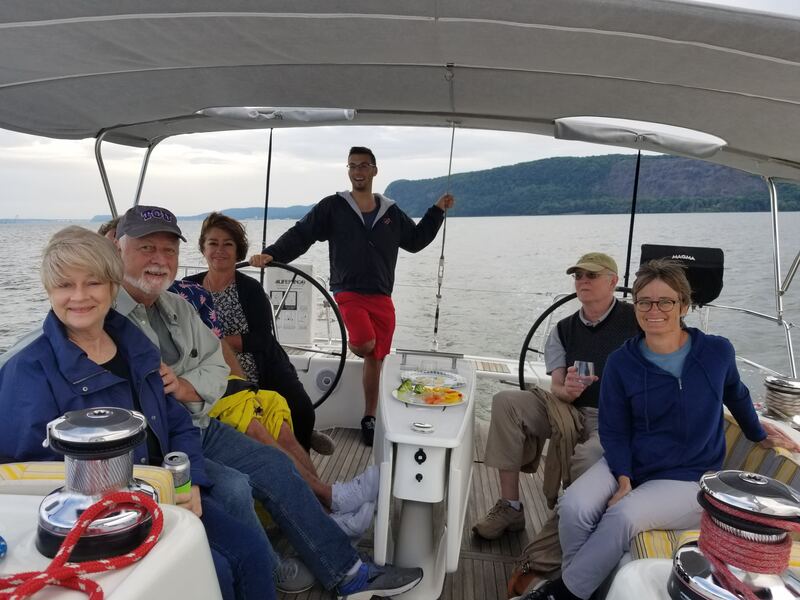 Get out on the Hudson, enjoy a beautiful sail on the luxurious Al Vento, a 54′ Beneteau sailboat. Meet wonderful new people, enjoy a cold Industrial Arts beer or glass of wine, and just relax as the captain and crew take care of all the work. Public sails are only $85 per person. Nyack Boat Charter is located at the Nyack Marina. We will usually have a tent up with our name on it as a meeting place.